10047 Park Meadows Drive has a Walk Score of 38 out of 100. This location is a Car-Dependent neighborhood so most errands require a car. 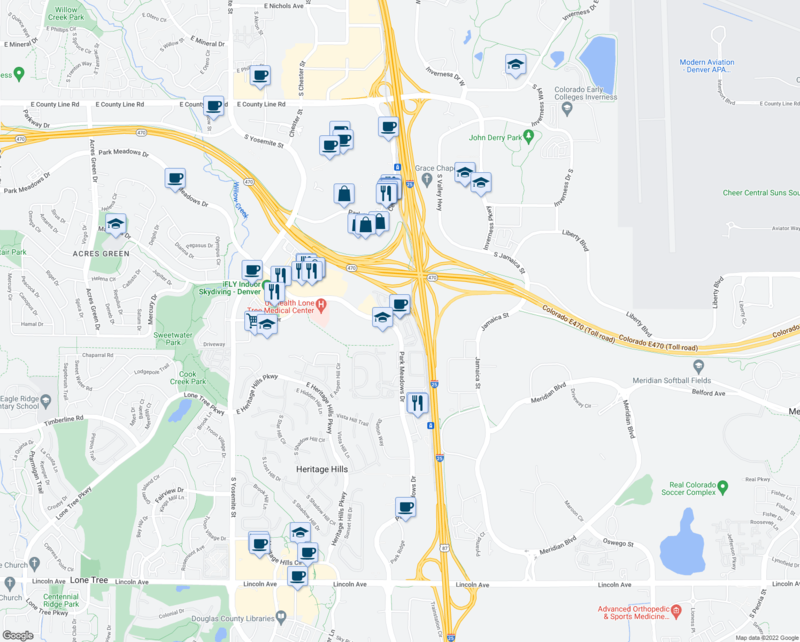 10047 Park Meadows Drive is a one minute walk from the E Union Station to Lincoln Station, the F 18th & California Station to Lincoln Station and the R Lincoln Station to Peoria Station at the Lincoln Station stop. Nearby parks include Cook Creek Park, Cook Creek Park and Pool and Sweetwater Park. 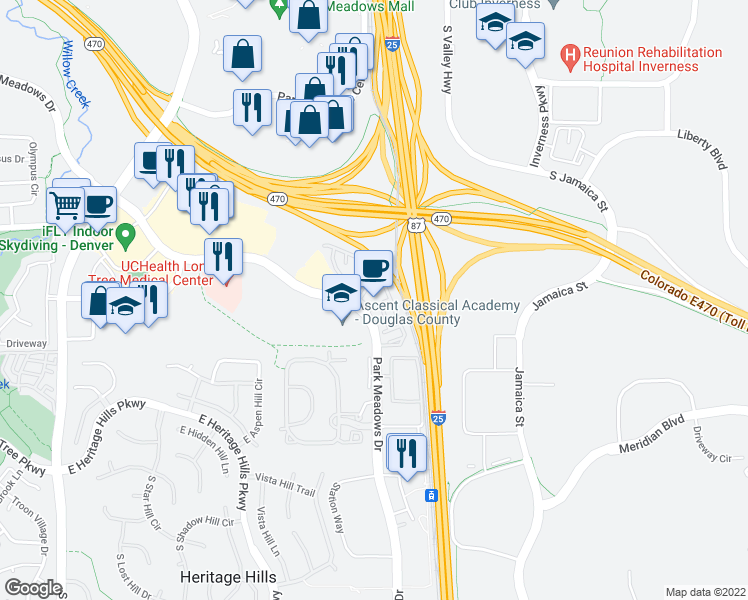 Explore how far you can travel by car, bus, bike and foot from 10047 Park Meadows Drive.